Skye’s second whisky distillery is configured to produce a typical island-style malt. 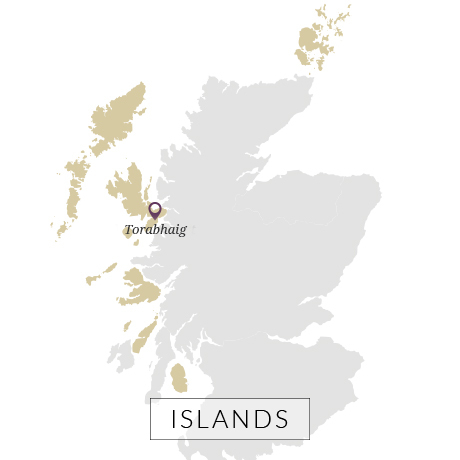 Torabhaig is another of the traditional farm steading-turned distillery projects cropping up across Scotland in recent years, though its output is significantly larger than many of its peers. Skye’s second distillery is configured to produce a traditional island-style malt whisky – medium-weight and medium-peated with a long fermentation in wooden washbacks and plenty of copper interaction providing a fruit-forward spirit. Every drop of its spirit will be earmarked for bottling as a single malt to begin with, though expect to see some siphoned off for blending further down the line. Sir Iain Noble, the man who founded Noble Grossart, Scotland’s first modern merchant bank, moved to the Isle of Skye in 1972. He purchased 20,000 acres of land, including a hotel at Isle Ornsay, which had been part of Lord Macdonald’s estate. Noble – who founded independent blender and bottler Pràban na Linne (Gaelic Whiskies) in 1976 – planned to convert a 19th century listed farm steading at Torabhaig into a distillery. He’d obtained planning permission for the project as early as 2002, though sadly passed away in 2010 before his plans could be realised. Around the time of his death, Mossburn Distillers, a subsidiary of Dutch drinks group Marussia Beverages BV, was also seeking a site on the island to build its own distillery. While the group hadn’t previously considered the renovation and preservation of a historic building for its project, Noble’s Torabhaig farm steading proved the perfect location. Mossburn set to work renovating the property, which had become little more than a ruin, in 2013. 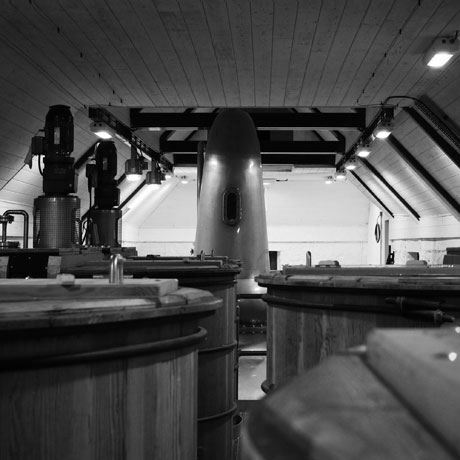 The steading’s infrastructure took three years to rebuild, while a bespoke removable slate roof was designed to allow access to the two stills for repairs. Whisky production is due to commence at the distillery in early 2017, though a small visitor’s centre complete with café and retail shop will open to the public from July 2017. Blended Scotch whisky produced by Marussia Beverages that was named after a great Scottish warship. Gaelic-orientated independent bottler, based on the Isle of Skye. This historic blended Scotch was first created by Skye blender Ian Macleod in the mid-1900s.